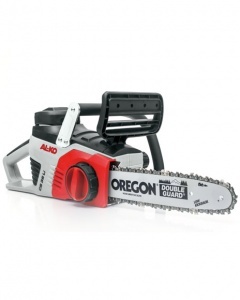 Benefiting from all the advantages of electric power, this chainsaw has a 2000 watt motor and a 40 cm Oregon bar and chain, perfect for light cutting jobs around the garden. 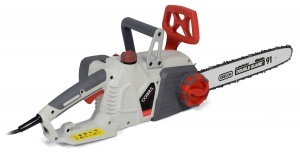 With a narrow 30 cm long bar and chain for enhanced efficiency, this cordless chainsaw from Swift also boasts increased chain torque and superb ease of use, making it ideal for general cutting jobs. 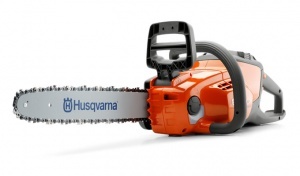 Robust, easy to use saw for domestic use with low vibration system. Easy maintenance and less emissions thanks to X-Torq technology. 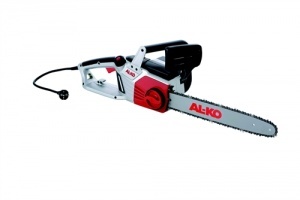 This 14 inch electric saw boasts superb ergonomics, allowing you to enjoy fatigue-free operation. It benefits further from a powerful, transversely mounted electric motor. Lightweight and easily manoeuvrable, the Stiga SP 386 provides superior performance with a premium weight/power ratio. Available with a 14 inch or 16 inch bar length. 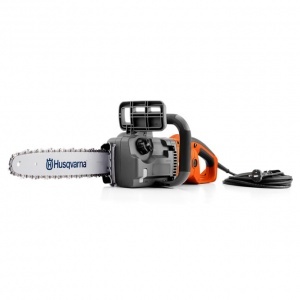 This electric chainsaw has a 2,000W motor and comes with a 16 inch bar. It is the ideal tool for domestic use by homeowners, indoor jobs or by craftspeople, with excellent performance and manoeuvrability. 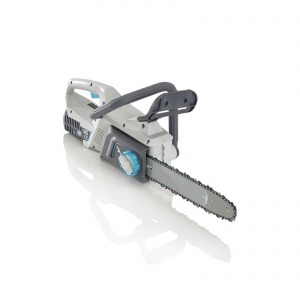 The Mountfield MC48Li 48V battery-powered chainsaw is powerful, lightweight and efficient. It makes easy work of jobs around the garden. 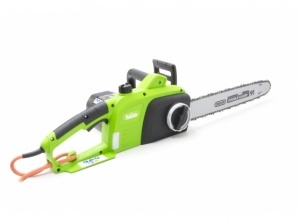 Powered by the top, long lasting 48V 5 Ah Lithium battery, the Stiga SC 48 AE chain saw is equipped with an digital brushless motor for higher efficiency, low noise and less vibrations. Sold as a shell only with battery and charger available separately. 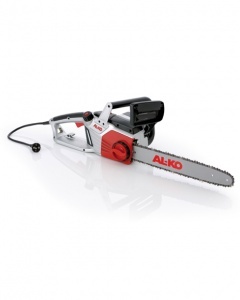 A 12 inch bar chainsaw that's fantastically easy to use and ideal for felling small trees or pruning light branches. This unit is supplied as a shell with the battery and charger available separately.